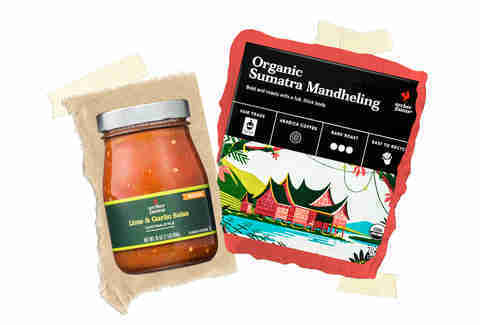 Store-brand food can be a hit or miss endeavor: For every tasty off-brand Dorito at Aldi or 35lb bag of jerky at Costco there seems to be an entire pantry's worth of cheap, nearly inedible knockoffs. But Target's been sneakily owning the store-brand game for a while, and we're not just talking about its delicious wine. 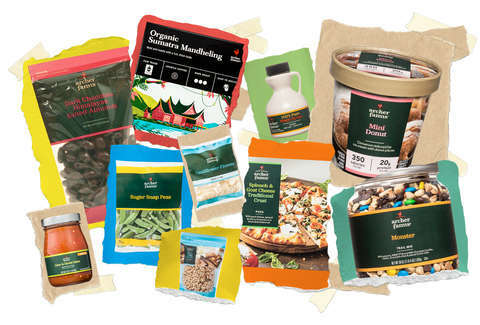 The Archer Farms label has the pantry, fridge, and freezer game on lock, and to fill you in on what the minivan-owning horde has long known, we asked Target-obsessed Instagrammers All Things Target and Target Does It Again to select their favorite Archer Farm foods. They’re smart AF about AF, so take note. Were you just in the middle of booking a flight to France just to buy the perfect granola? Save yourself a ton of money and the hassle of finding your passport by stopping by Target and purchasing its French Vanilla Almond Granola. 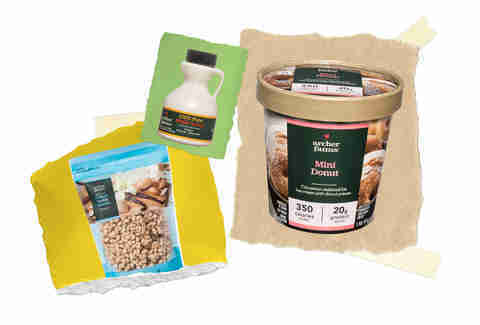 Like many of Archer Farms’ products, it’s made with minimal ingredients, including rolled oats, honey, and almonds. But it’s a favorite of Target Does It Again because it can considerably elevate your breakfast: “Take your yogurt or smoothie bowl to the next level with this granola.” And doesn’t require an international flight to eat. Imagine a plate of pancakes. Then imagine not putting maple syrup on them. You know what? Don’t. That’s criminal. If you’re eating pancakes, you need maple syrup. But do you need 12oz of it? Do you want to pay $7.19? Eh, probably not -- unless you eat flapjacks every single morning. Avoid spending crazy amounts of dough on Vermont’s finest export (aside from Ben & Jerry’s) and snag Archer Farms’ 100% Pure Maple Syrup in a 3.4oz bottle. Target Does It Again loves the fact that it’s 100% maple syrup, and not a low quality version with fillers. But the differentiator for them is that Target offers a mini size. It’s just $2.29, and will probably give you just enough for a few brunches. “I love the Archer Farms Trail Mix because it comes in so many amazing flavor combinations,” says Christy Palmer of All Things Target. She ain’t kidding. There’s a Monster version with M&M’s, chocolate chips, and peanut butter chips, and a Peanut Butter Monster with mini peanut butter cups and Peanut Butter M&M’s. It may be named that because it’s available in a 2-pound, 4-ounce. Or because it contains actual monsters inside. Who can say? 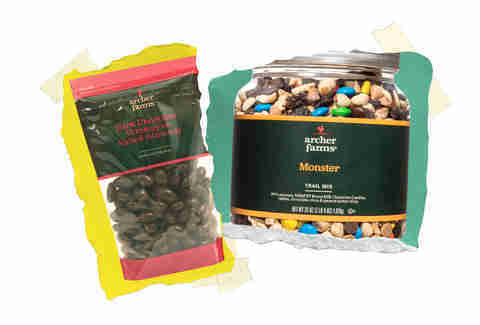 Palmer’s favorites include the aforementioned Monster, the dried fruit-packed Cashew, Cranberry & Almond, and the Caramel Cashew, with chewy caramel, milk chocolate bites, and peanuts. Jen and Ashley, the two women behind Target Does It Again, also love the trail mix: “Legit the best trail mix ever!” They also highlight it for the budget conscious: “The price is right for a huge jug!” -- it’s just $8 for 2 pounds of Peanut Butter Monster. Were you just in the middle of booking a flight to the Himalayas to buy the perfect salted almonds? Wait, are you the same person who was buying tickets to France? What are the odds?! Palmer loves these bad boys not only because almonds are one of her “favorite things to drench in chocolate” but because “the dark chocolate is really tasty, and they have just the right amount of salt.” And it is actually Himalayan salt as promised on the label, which is sourced from salt mines in Pakistan. Who knew? Frozen pizza isn’t necessarily the healthiest meal option in the frozen food section of the supermarket. But feel confident that at the very least, it has a Simple Ingredients stamp of approval from Target, meaning that it contains “no synthetic flavors, synthetic colors, synthetic preservatives, or synthetic sweeteners; no high fructose corn syrup; no added synthetic trans fat.” It’s basically spinach, cherry tomatoes, and goat cheese. And that last ingredient is what makes this a standout at the retailer for Target Does It Again. “Would definitely recommend this pizza to goat cheese fans,” they say. When you bite into the goat cheese liberally applied to each pie, you’ll understand why. Also of note, the standard wood-fired pepperoni recently breached the top five of our ongoing frozen pizza rank. Even in a state of goatlessness, this is quality frozen pie. When you get home from a long day at the office, the last thing you want to do is go into the kitchen and take a half-hour to prepare dinner. Obviously that’s time better spent drinking away the problems caused by a long day at the office. 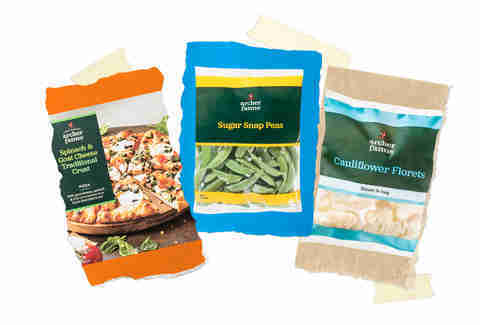 Take Jen and Ashley’s advice that Archer Farms’ frozen veggies “make dinner prep a breeze.” Mostly because you can pop them in the microwave and the veggies steam in the bag. No clean up, either. While you can choose between Brussels sprouts, snow peas, asparagus spears, and green beans, the Target Does It Again team prefers the sweet potato cubes, broccoli, and cauliflower. Pair a protein on a plate with any of those veggies and dinner is practically done. Walk down the aisles of a popular grocer like Whole Foods and you’ll find people pushing around shopping carts that for some reason only fit a single loaf of bread and a gallon of milk. You’ll also find a few varieties of salsa from their store brand, most likely in mild, medium, and hot. Which is fine! But if you want selection and quality, it’s hard to beat Archer Farms. “They make my favorite salsa,” says Palmer. “I love their Medium Corn & Black Bean Salsa -- it has a fresh taste with a little kick, and I love the addition of corn and black beans.” And if that doesn’t sound appetizing, there’s plenty of other options, like Mango Peach, Pineapple Peach, Restaurant-Style, Fire-Roasted Pepper & Habanero, and Zesty Pepper. Think about the last time you bought an organic cup of coffee in a cafe -- it probably cost more than $.62. But if you’ve got a Keurig machine, buying K-cups from Target could save you a ton of money: it’s $10 for 16 cups. Not only that, many K-cups contain coffee grown conventionally, “so it’s nice to be able to pick up organic coffee at Target,” say gals behind Target Does It Again. Even better, you have your choice of coffee flavors in Archer Farms’ java line, including Vanilla Bean, Cinnamon, and an Ethiopian Yirgacheffe, the coffee that crushed all others in a recent ranking of K-cups by a coffee roaster. Lee Breslouer is a Colorado-based food and drink writer who buys salsa because he likes to say "salsa." Follow him @leebreslouer.